Do you keep up with the baby books? I feel a twinge of guilt whenever I am folding laundry, and I look up at the shelf above utility sink at the two baby books that I started before each of my children were born. The blue one is bursting with first haircuts, ticket stubs, sticky notes of funny sayings, and napkins from first birthday parties. The pink one looks like the binding has never been broken. I started this blog when Mia was a month old, and it has become more of a daily life and inspiration journal of her early years than perhaps a traditional baby book might have been. At least that’s what I tell myself to make myself feel better. My friend Shelly is not only a talented interior designer and photographer, but she is an inspiring wife and mother. She creates an annual “Family Yearbook” for her party of three that has inspired me to do the same. They even sign it like an actual yearbook! My photos and videos tend to get stuck in Digital Purgatory. 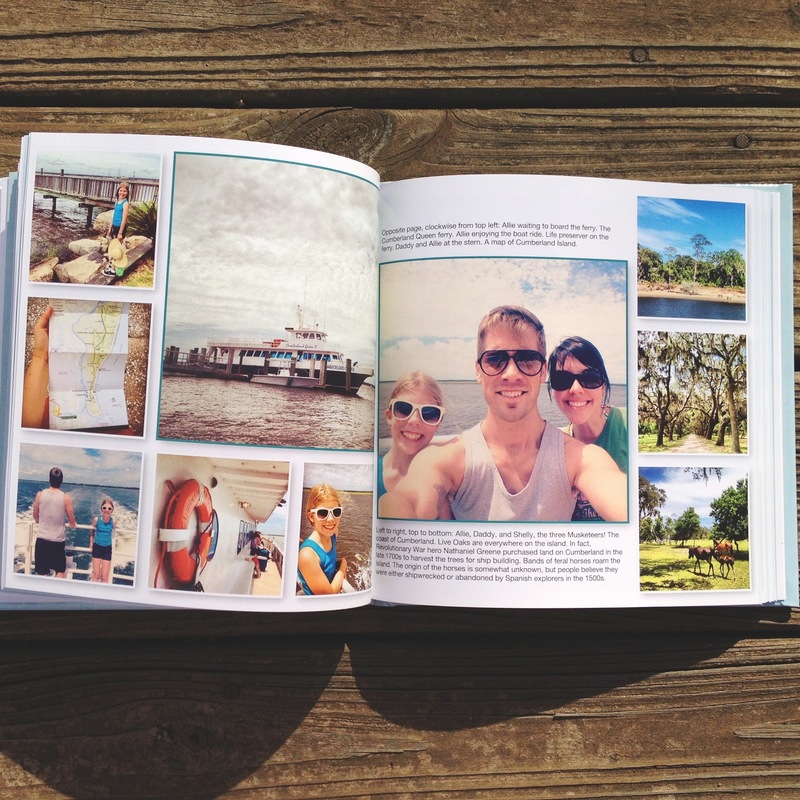 Call me “old-fashioned”, but sometimes I just feel like cozying up with my memories page by timeless page rather than scrolling through them at stop lights or waiting in line at the bank. Thank you, Shelly, for turning my page-flipping fantasy into a keepsake reality. 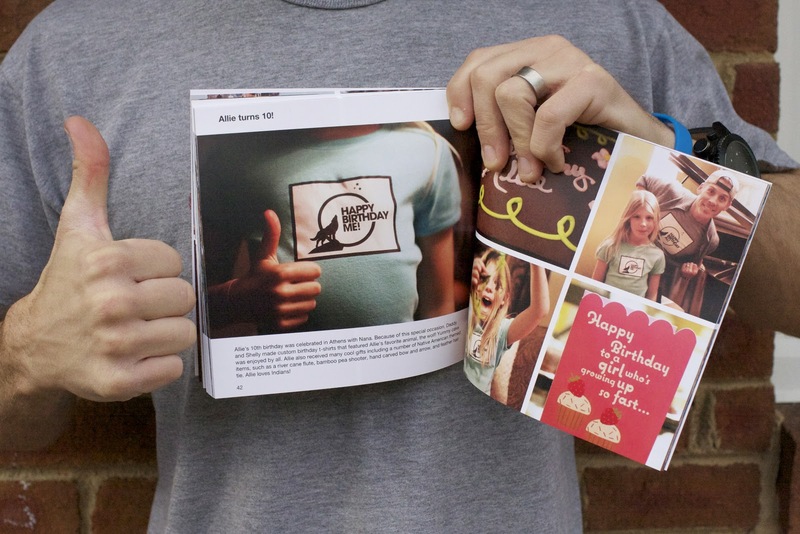 Be sure to check out Shelly’s blog for tips on how to make your own Family Yearbook. 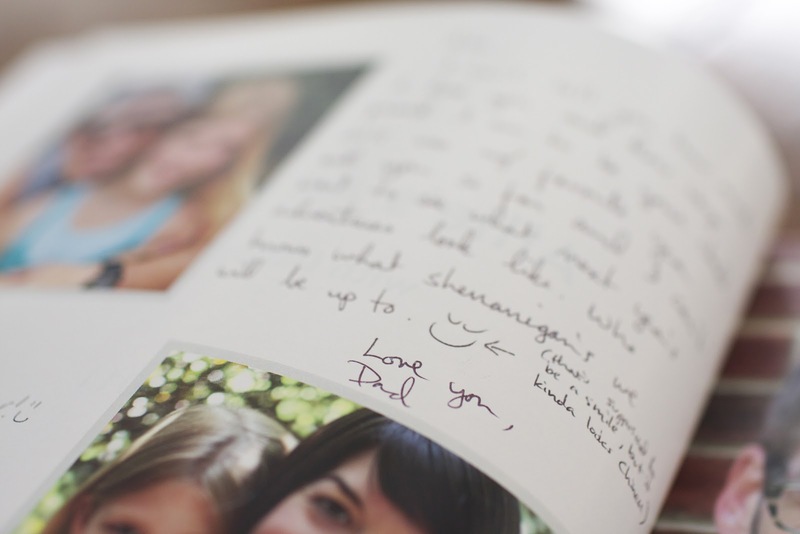 How do you preserve and enjoy your family memories?